This is to inform those interested in Probationership. 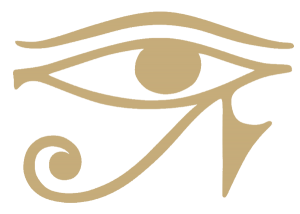 As of 25th November, Anno V–4 (2018), the Hermetic Qabalah Foundation course is no longer used for Probationership to the Order. The Foundation now serves as a preliminary for the more advanced VITRIOL Probationership course, when required. There is a Thelema beyond that of Crowley and Grant. Working through a correspondence course to achieve magical initiation nonetheless seems to have originated with Crowley, though he is rarely given credit for it. In the old style Golden Dawn Lodges, where initiation was through group ceremonies, few persons did any personal work. There was little or no supervision unless they were fortunate to know the right people. Crowley was taught by Allen Bennett, but that was a rare case. There was a tendency for the members to get into relatively high grades without gaining real knowledge. They attended meetings and paid their dues. The O∴ A∴ uses the correspondence method, which effectively abolishes the need for ceremonies with officers and regalia. It rules out farcical amateur dramatics. 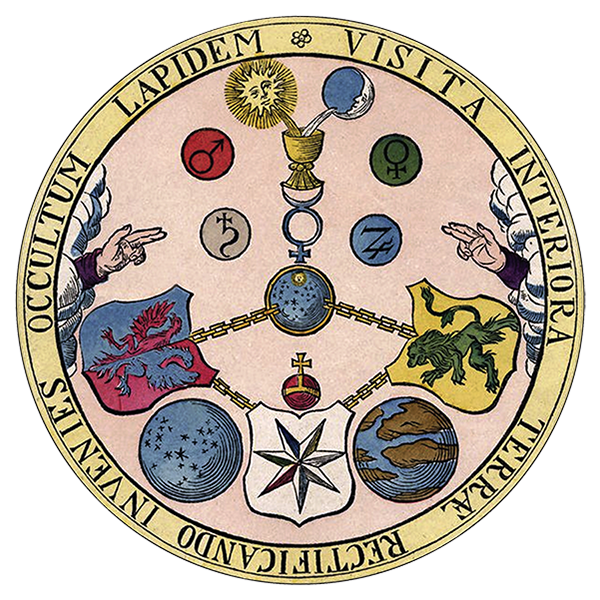 The method was very likely used by Alphonse Louis Constant (1810–1875), better known as Eliphas Levi. Crowley certainly used it, and Dion Fortune developed it in her Fraternity of Inner Light. Kenneth Grant used the correspondence method in the early years of the Typhonian Order. The correspondence course method is necessarily didactic. The letters from the Guide are integral to the grade work. Initiation is then about in-depth study, personal work done and the discipline of the magical diary record. Initiation is a continual unfolding and flowering as opposed to a stage-managed one-off event. The aspirant is given a copy of VITRIOL. This is a simple brief and structural guide to the nine-month term of Probationership. The period of required practical work is nine months, divided into three sections. In reality the time from first application to completion of the Probationership will be more than that. The first month is therefore designated as ‘zero’, since it represents an unspecified period of time. Those desirous of undertaking practical work are expected to be familiar with the primary magical techniques and magical philosophy. Practical methods are chosen from our literature. The Student must therefore show some familiarity with our methods and philosophy. ‘Student’ is the first, unofficial grade. A ‘Probationer’ is one that has been accepted for the Probationership term and has signed the requisite Oath. The first ‘unofficial’ grade is that of Student. To pass to Probationer, the Student must prepare a written presentation. This does not need to be an academic dissertation, complete with citations and references. It will need to include the following criteria. 1. The presentation must demonstrate an intellectual understanding of the work. This should include knowledge of the magical philosophy of the Order as well as some familiarity with its practical methods. Some knowledge of the magical correspondences, including astrological and Tarot placements, is deemed desirable. 2. Some familiarity with the Qabalah will be proved by the submission of a proposed magical (fraternal) name and associated Qabalistic number. This is called the ShMATh name, and it is needed so the Oath of a Probationer can be signed at the commencement of the nine-month period of practical work. The ShMATh name is to be included with the presentation, with an explanation of the name. Gematria or other correspondences are used to show how this represents the aspiration. 3. The presentation must be of reasonable length, of no less than 1000 words and not exceeding 3000 words. Please do not include attached images or URL links. This work constitutes the first ‘zero’ month of the Probationership, to which is assigned the formula of VITRIOL. The first month, in reality, is normally expected to take several months, including the transfer of documents, final decision on the fraternal name and appointment of the date for beginning the diary Record. This is where our work begins. The Second Edition was revised and extended especially for the VITRIOL Probationership course. It contains the minimum core practices for getting started. 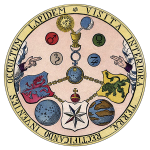 It also contains an abridgement of ‘Lapis Philosophorum’. An Introduction to Esoteric Thelema with diverse applications. Pursuing a Probationership to its conclusion will require The Phoenix and other Stellar Rites of Initiation. Other books recommended: The Flaming Sword Sepher Sephiroth (Vols. One and Two)—for Gematria, Sepher Sephiroth.